We are Cisco Learning Partner. 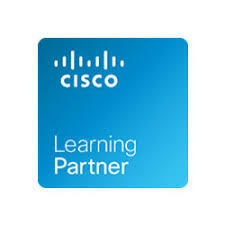 As Cisco Learning Partners we deliver authorized training to support Cisco technologies. Working with us as Cisco Learning Partner for all of your educational needs enables you to maximize the value of your investment in Cisco products and solutions. We also provide Sales Trainings for you and your team. From your 24/7 ‘sales force’ via website or digital platforms, to the human talent powering your sales objectives, we deliver tailored, leading-edge business skills training for today’s most challenging technologies. From relevant business skills content to industry leading instructors, our training programs walk the talk – backed by real life business experience to empower your team to close the deal.